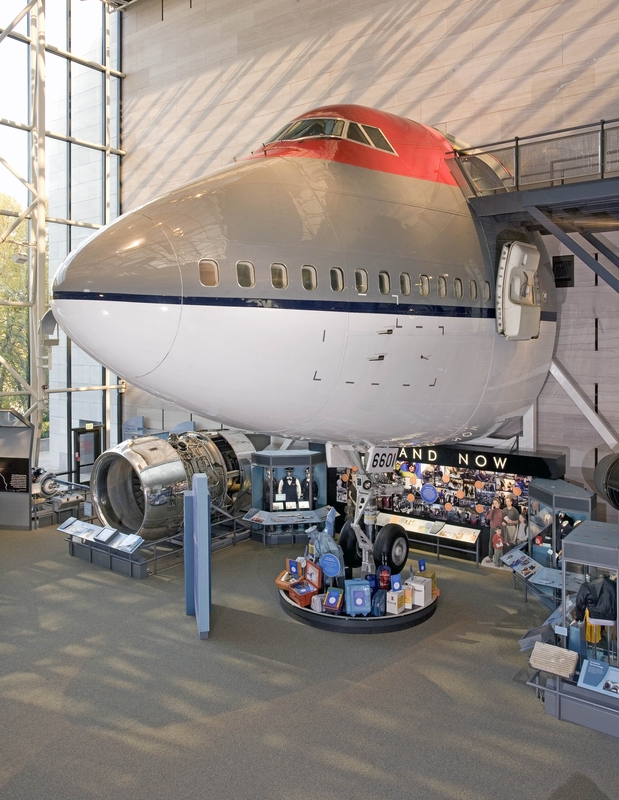 This object is on display in the America by Air exhibition at the National Air and Space Museum in Washington, DC. The Boeing 747 is one of the most significant airliners in history. The airliner popularized air travel and ushered in a new era of affordable airfare. In the early 1970s many of 747s were outfitted with extravagant amenities like bars, piano lounges, and even spiral staircases. The economic reality of such amenities eventually hit the airlines. They realized they could make a lot more money by replacing lounges with seats.